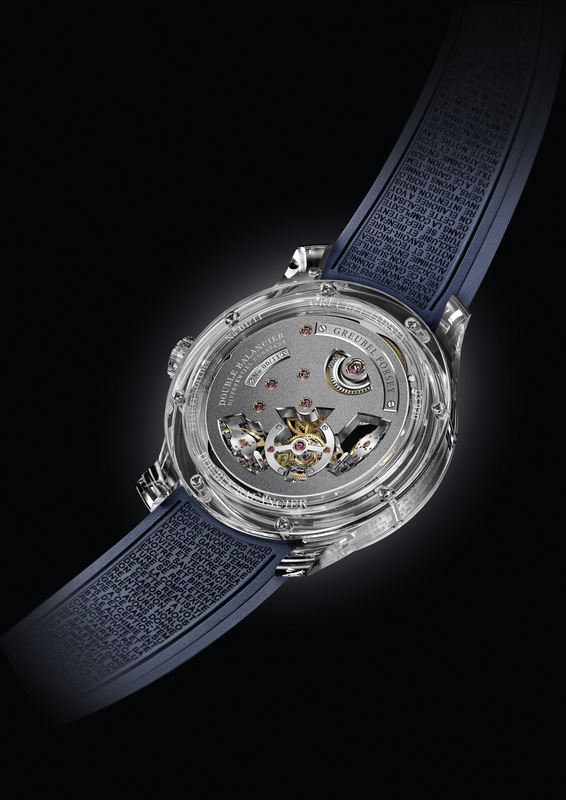 A new timepiece from Greubel Forsey debuts this month—and though it will surely pique the interest of watch collectors around the globe, the Double Balancier Sapphire, an 11-piece edition, will be available exclusively to North American markets. 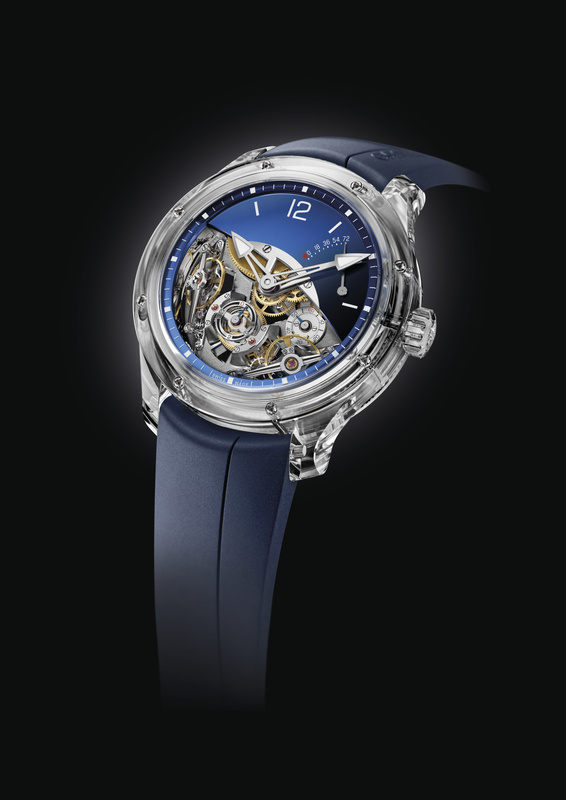 True to its name, the Double Balancier Sapphire’s bezel, case, caseback, and crown are all made from translucent sapphire crystal, imbuing the timepiece with an ethereal elegance. The real eye-catcher, however, is the blue gold partial dial which reveals the watch’s multi-tiered inner mechanisms, including Greubel Forsey’s patented double oscillator technology. For the traditionalist, a hand-sewn alligator strap is available, though the ribbed rubber option in blue is a rather complementary choice. Complete with detailed engraving, black polishing, and hand-bevelling, the Double Balancier Sapphire is another fine example of Greubel Forsey’s dedication to performance, artistry, and innovation.